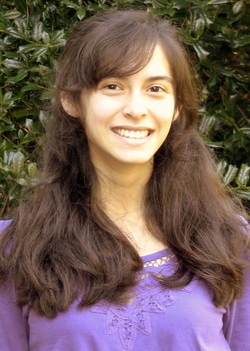 Coly Elhai, a junior, has been active in Maggie Walker Model UN for four years and has enjoyed every bit of it. She was delegate on the Future Joint Crisis: North Korea committee at GSMUN XIV and wreaked havoc as a crisis staffer for the Ad-Hoc Committee on Bioethics and the Joint Crisis: Yom Kippur War committee at GSMUN’s XV and XVI. Last year, she also chaired the House Committee on Foreign Relations at Walker Model Congress. When she’s not delving into the intricacies of national and international issues, you can sometimes find her playing violin for the Richmond Philharmonic, acting, or competing with the forensics team. Coly is also a proud member of Maggie Walker’s Pugwash Club, which does not, in fact, wash small dogs. 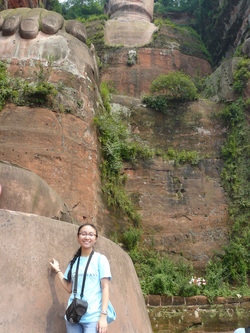 A junior, Helen Li has been involved with Model UN since her 6th grade year. At GSMUN XIV, she represented Germany in SOCHUM. Her GSMUN behind-the-scenes journey began when she worked on the fundraising and crisis staffs during GSMUN XV, and last year, she served as vice chair for the Arab League at GSMUN XVI. In addition, Helen loves discussing politics and ethics in Model Congress and Pugwash. She also participates in Future Problem Solvers and serves as Forensics team’s co-“Piecekeeper”. Although Helen did not make up that clever title, she is obsessed with the futuristic book series The Hunger Games, as well as Harry Potter. In her spare time, Helen likes to cook delicious food, make wire jewelry, and travel to various destinations. It is our distinct pleasure to welcome you to the Rio 2016 Olympic Organizing Committee. Just as the Olympic Organizing Committee has dedicated countless hours and dollars to prepare for Rio 2016, we too have prepared tirelessly and spent lavishly (the latter somewhat less so) to ring in GSMUN XVII. The challenges you will face in this committee will be complex and plentiful: how best can Rio 2016 develop necessary infrastructure without intruding on the rights of Rio’s citizens? What can we do to keep athletes, spectators, and citizens safe? How can we ensure that the legacy of the Olympics in Rio is positive and long-lasting? - Do your best to stay true to whatever positions your character holds. Remember, in the context of this committee, you are the person you have been assigned to represent. - We are interested to see your own work, not the work of whoever you might find on the Internet. Plagiarism has no place at GSMUN. - Most of all, have fun with your paper! The more you research and the more prepared you are before you even arrive to the committee, the more enjoyable the entire conference will be. Feel free to contact us at gsmun17.rioolympics@gmail.com if you have any comments, questions, concerns, confusion, criticisms, kudos, etc. We would be more than willing to assist you in any way we can.